On January 19, 2005, a fifth grade DARE graduation was held at the Old High School Gym at 7:00 p.m. for Euclid and Lincoln School students. During the ceremony, presentations were made to fifth grade essay contest winners. Essay topics reflected reasons to stay drug free and avoid violence -- anger management. A party with a DJ was held after the ceremony. Refreshments were provided by the PTA. The DARE program equips 5th grade students with the life skills for resisting peer pressure to experiment with drugs, alcohol and tobacco. The DARE programs focus on the dangers of drugs, consequences of drug use and self-esteem & confidence. The fifth grade program is 10 lessons in 10 weeks during school. 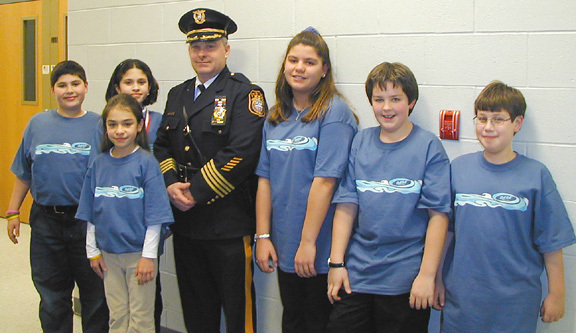 The Hasbrouck Heights Police Department was one of the first Police Departments in the State of New Jersey to train and begin the program, implementing the program in December of 1989 in all of the Public and Parochial Schools.